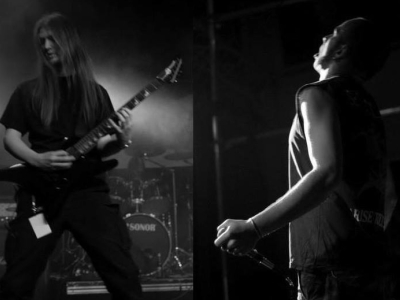 A Norwegian/German collaboration, the duo comprise a vocalist (JC) and multi-instrumentalist (CJ), both with experience in other extreme Metal bands. They describe themselves as Funeral Death Doom, but the Funeral elements are primarily limited to a very slow pace, and mixed in with a number of other extreme influences. Old-school slow, cold and heavy Death/Doom.